+ 44 (0) 1446 - 710113 | About us | © Copyright of WelshModels 2018. 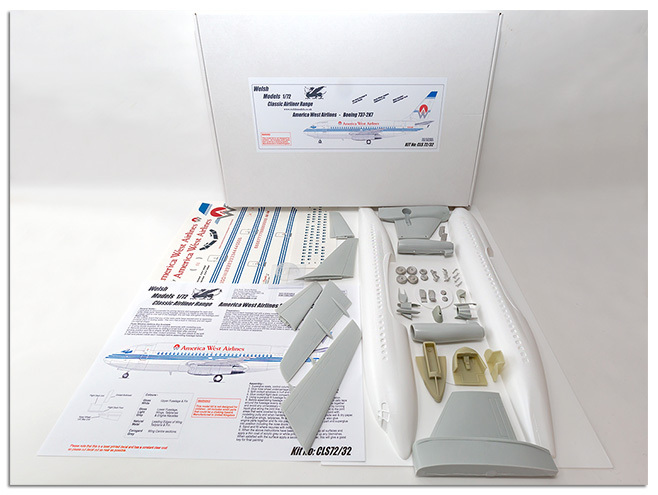 CLS72-31 - 1:72nd scale Boeing 737-2G7 in America West livery. Vac Formed fuselage with metal undercarriage and resin parts to complete.